One of the more common and destructive computer crimes to emerge over the past few years involves ransomware — malicious code that quietly scrambles all of the infected user’s documents and files with very strong encryption. A ransom, to be paid in Bitcoin, is demanded in exchange for a key to unlock the files. 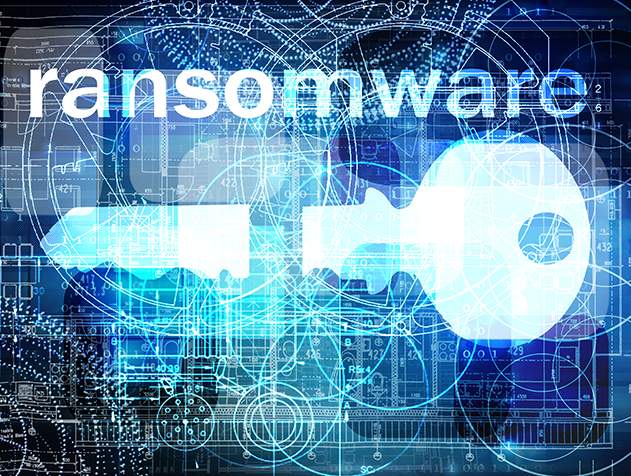 Well, now it appears fraudsters are developing ransomware that does the same but for Web sites — essentially holding the site’s files, pages and images for ransom. This latest criminal innovation, innocuously dubbed “Linux.Encoder.1” by Russian antivirus and security firm Dr.Web, targets sites powered by the Linux operating system. The file currently has almost zero detection when scrutinized by antivirus products at Virustotal.com, a free tool for scanning suspicious files against dozens of popular antivirus products. Typically, the malware is injected into Web sites via known vulnerabilities in site plugins or third-party software — such as shopping cart programs. Once on a host machine, the malware will encrypt all of the files in the “home” directories on the system, as well backup directories and most of the system folders typically associated with Web site files, images, pages, code libraries and scripts. The ransomware problem is costly, hugely disruptive, and growing. In June, the FBI said it received 992 CryptoWall-related complaints in the preceding year, with losses totaling more than $18 million. And that’s just from those victims who reported the crimes to the U.S. government; a huge percentage of cybercrimes never get reported at all. Macadar said the malware struck a development Web server of his that also hosted Web sites for a couple of longtime friends. Macadar was behind on backing up the site and the server, and the attack had rendered those sites unusable. He said he had little choice but to pay the ransom. But it took him some time before he was able to figure out how to open and fund a Bitcoin account. “I didn’t have any Bitcoins at that point, and I was never planning to do anything with Bitcoin in my life,” he said. According to Macadar, the instructions worked as described, and about three hours later his server was fully decrypted. However, not everything worked the way it should have. “There’s a decryption script that puts the data back, but somehow it ate some characters in a few files, adding like a comma or an extra space or something to the files,” he said. Macadar said he hired Thomas Raef — owner of Web site security service WeWatchYourWebsite.com — to help secure his server after the attack, and to figure out how the attackers got in. Raef told me his customer’s site was infected via an unpatched vulnerability in Magento, a shopping cart software that many Web sites use to handle ecommerce payments.